DIMENSION - My research is phenomenologically qualitative and emerges from theory, through exploration into practice. 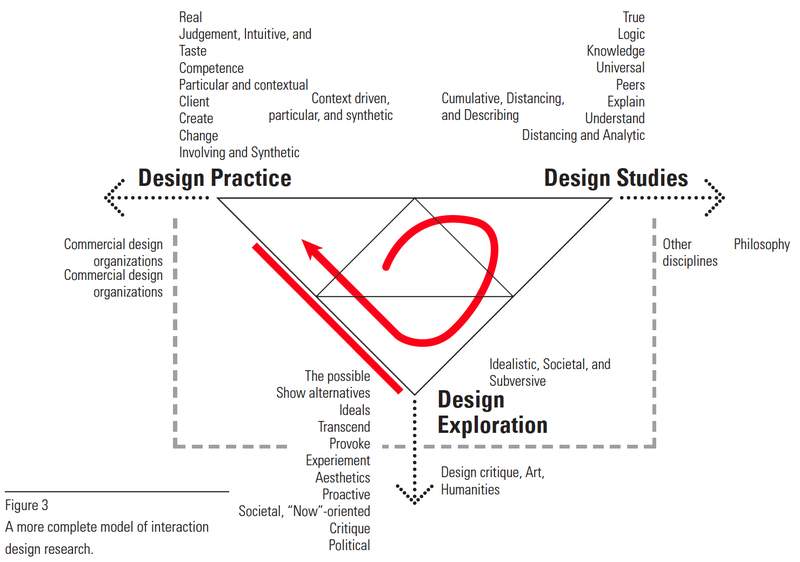 Therefore the situating of my research within Fallman's framework fits between the labels Design Exploration and Design Practice. TRAJECTORY - I see my research's trajectory as being from Design Exploration towards Design Practice. LOOP - To gain the desired trajectory path, the beginning obviously begins with a gap in Design Practice. 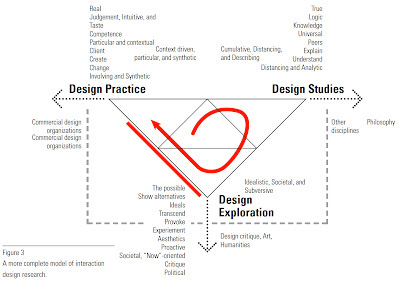 The loop then takes a theoretical turn (it is a PhD after all) through the Design Studies triangle, before entering the Design Exploration onto the trajectory path.